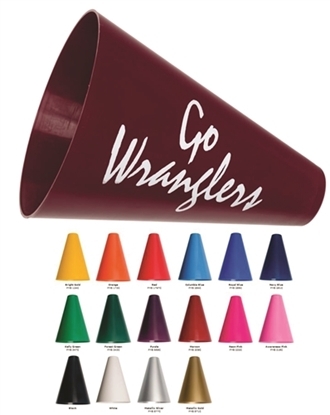 Our 7" Pep Phones and 8" Megaphones are both fun and practical. Imprint a team logo on one side and a sponsor's name or ad on the other. The optional pop-off disk allows them to be used as a container - filled with popcorn, peanuts or candy. The disks can be imprinted with a redeemable offer for added advertising value. Lightweight plastic construction. Made in the USA. This handy log is your promotional buddy at the next trade show! Our Pocket-Buddy Notebook features a bright translucent cover, is spiral bound with 80 lined pages, and has a separate ziplock plastic pocket attached to the spine. Measuring 7" H x 5 1/2" W x 3/4", it's a perfect promo piece for banks, financial services, insurance companies, hotels and more. Have your logo silkscreened and your business will always be presented in the best light! These lightweight yet durable, plastic mini-sports balls are authentically detailed so they look just like their larger counterparts. Each ball is imprinted with a high quality scratch resistant ink on one or two sides. Durable, lightweight construction. Made in the USA. 6" plastic mini footballs are authentically detailed so they look just like their larger counterparts. Each ball is imprinted with a high quality scratch resistant ink on one or two sides. The optional stripe for footballs is available in 5 different and unique styles. Choose between plain bold stripes, paws, stars win or dollar signs. Or design your own custom stripe to really melee your promotion one of a kind. Durable, lightweight construction. Made in the USA. #1 FOAM HAND MITTS 12"
Show everyone who's number one with these popular foam mitts. We've taken the #1 foam hand out of the 70s and given it a updated or fresher look. 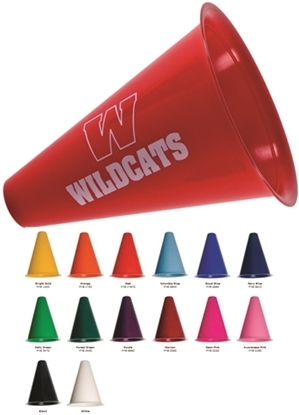 Made of bright, colorful, open-celled foam in a variety of sizes, these novelties are imprinted with a high quality, waterproof ink on either 1 or 2 sides. Made of colored, flexible polyurethane. Available in 6 popular sizes, available in sixteen colors of foam, imprint on 1 or 2 sides, fire retardant, customizing available and made in the USA. 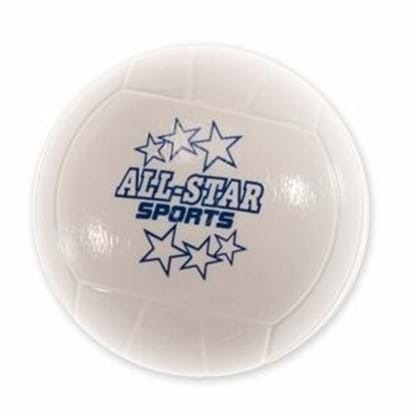 These lightweight yet durable, plastic mini-sports volleyballs are authentically detailed so they look just like their larger counterparts. Each ball is imprinted with a high quality scratch resistant ink on one or two sides. Durable, lightweight construction. Made in the USA. #1 FOAM HAND MITTS 14"
#1 FOAM HAND MITTS 16"
Show everyone who's number one with these popular foam mitts. We've taken the #1 foam hand out of the 70s and given it a updated or fresher look. Made of bright, colorful, open-celled foam in a variety of sizes, these novelties are Logo with a high quality, waterproof ink on either 1 or 2 sides. Made of coloGreen, flexible polyurethane. Available in 6 popular sizes, available in sixteen colors of foam, imprint on 1 or 2 sides, fire retardant, customizing available and made in the USA.